You have gained some knowledge about binary options and you are doing it well over month now and you feel excited and motivated enough to go to next step and choose the broker you will deposit moeny with. You have checked on several review websites to make sure you will will not doa bad decision when it comes to choosing of a broker. So you are asking yourself probably what are some of most important things to look at the broker to choose it based on that. 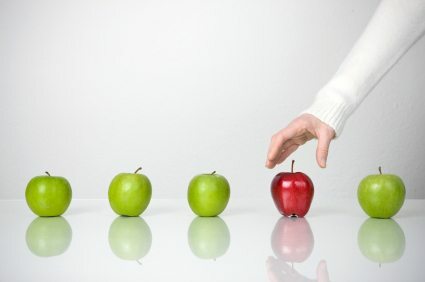 What is important to look for when choosing binary options broker? This is something i would look at my choosen brokers since this will ensure me that money is at safe place, secured by some thir-party. This will assure me that my brokers has rules and risk of scam is almost gone. Ask broker where they are regulated and check with proper authority yourself it this is true. How you will get in touch with them if they are not available online for discussion. A good broker has responsive sales and support team which is available for you at any time. So defnitely choose some brokers who can give you live support chat service and that they can answer your questions in proper way and not hide things from you or bend the rules. The broker you want to use must be easy to navigate through the platform and also user friendly because you have more fun when it comes to trading. You need to move quick when the trading comes along. Also check broker who has available mobile application for you since it could save you if you are not infront of computer or you have a day job but you still can monitor what is happening on the market. The percentage payout per trade is something that varies from broker to broker and you have to check you will choose the one who has normal percentage rates not that they offer you 50% payout. So if you find a broker who has conditions that are in your favor then you should go with this opportunity. Make sure you read their terms and ask a representative what conditions apply ti withdrawing your profits. You should know the process and also how long does it take them. This should be clear from both parts and if it takes them longer then 2 weeks, you should start being concerned because this is the average time it takes the brokers to process such requests. You also need to check one of the most important things that is usually forgotten. You have to know if they have the assets you want to trade avaliable for you. If they do not have them, how will you trade then. As you see it is not that easy as 1-2-3 to find your perfect broker or two but with some research done from your side and our side, you can find some that will do great job for you. You have to have perfect infrastructure so you will not be bothered when it comes to those trading hours you put in. I would advise to check our recommended and trusted brokers you can start with, here.